Imagine a city filled with 1600-year-old buildings richly decorated with original artwork. Ravenna, Italy, is just that place. 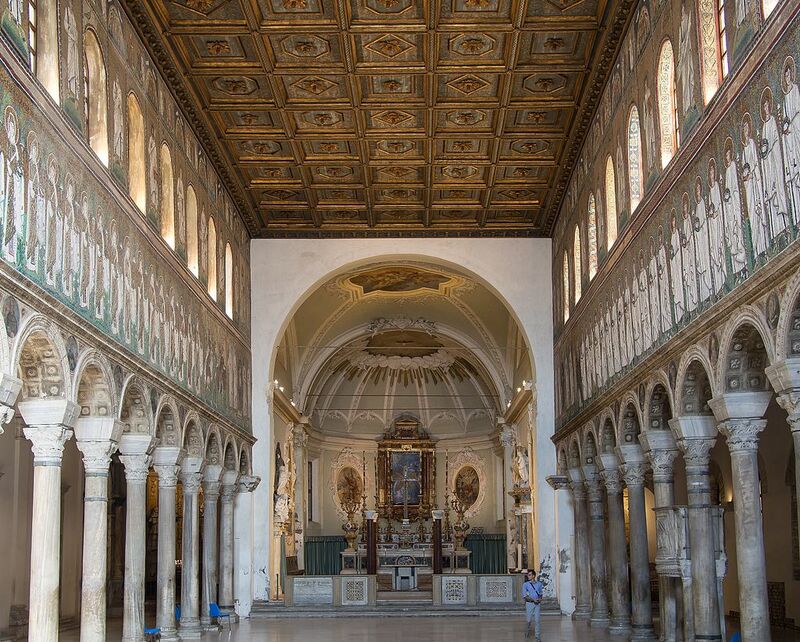 The capital of the Western Roman empire from 402 AD until the fall of Rome in 476 AD, Ravenna’s earliest extant religious buildings date to that period. The larger, grander buildings were constructed in the 6th century. Mosaic tile artwork covers the interiors of many of the ancient churches, baptistries and mausoleums begun between 400 AD and 550 AD that remain in perfect condition today. Here are some of my photos of many of them. The Neonian Baptistry, ca. 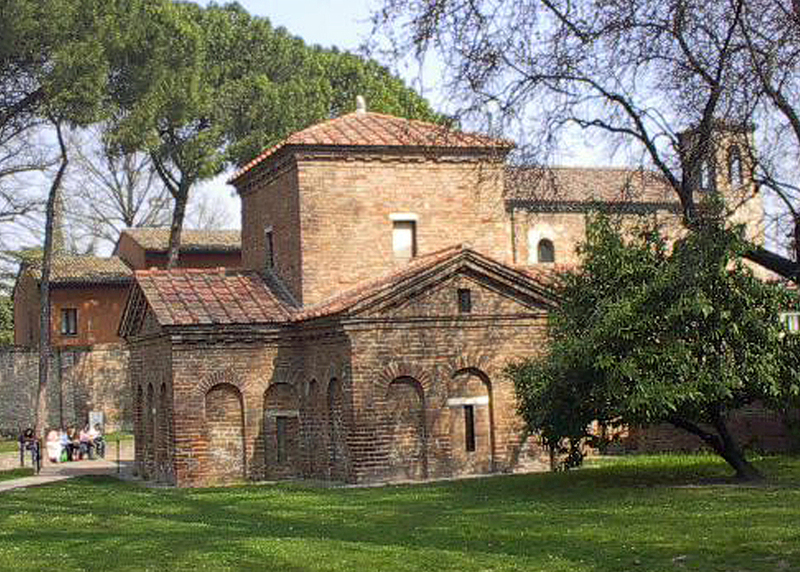 430 AD, is one of the oldest buildings in Ravenna. 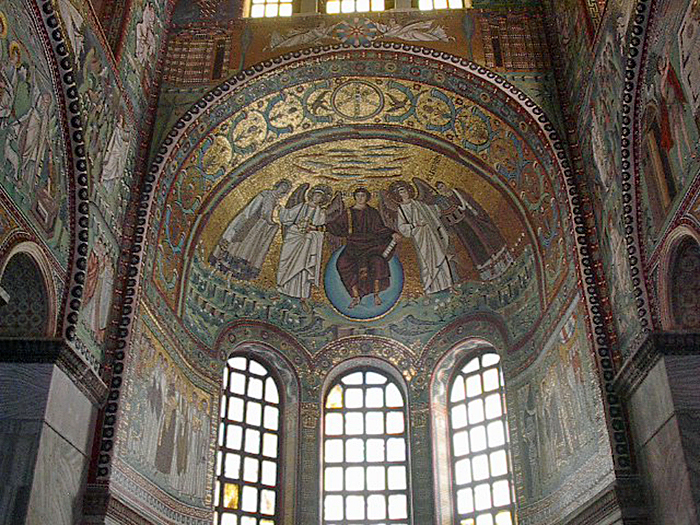 The interior is lavishly decorated in mosaic tilework and sculpted stone. The Mausoleum of Galla Placida, also dates to the early 5th century. 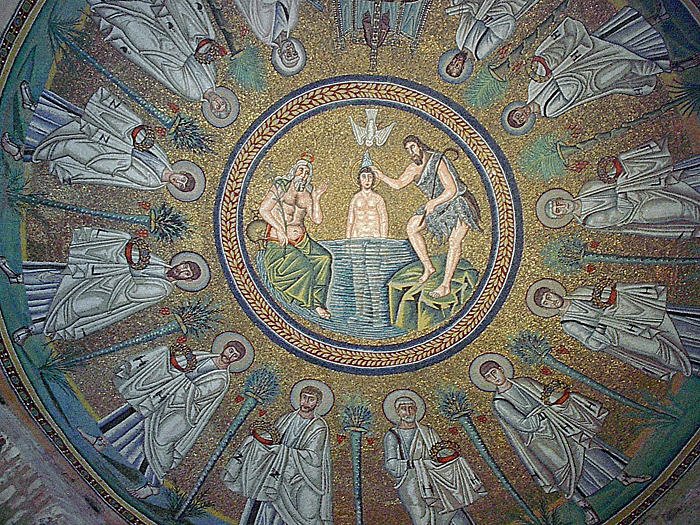 This is the ceiling of the Arian Baptistry, built in the late 5th or 6th century. It was placed next to the ancient cathedral which was destroyed long ago. Basilica of Sant’Apollinare Nuovo, dedicated in 504 AD, features a row of 22 Virgins along one wall and 26 Martyrs along the other. 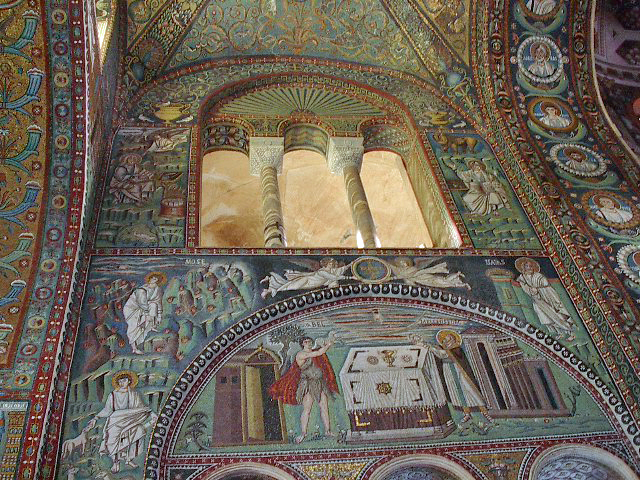 Possibly the most beautiful because its interior is covered in ancient mosaic art, the Basilica of San Vitale was constructed in the mid 6th century. The building is considered to be one of the best examples of early Christian architecture in Europe. 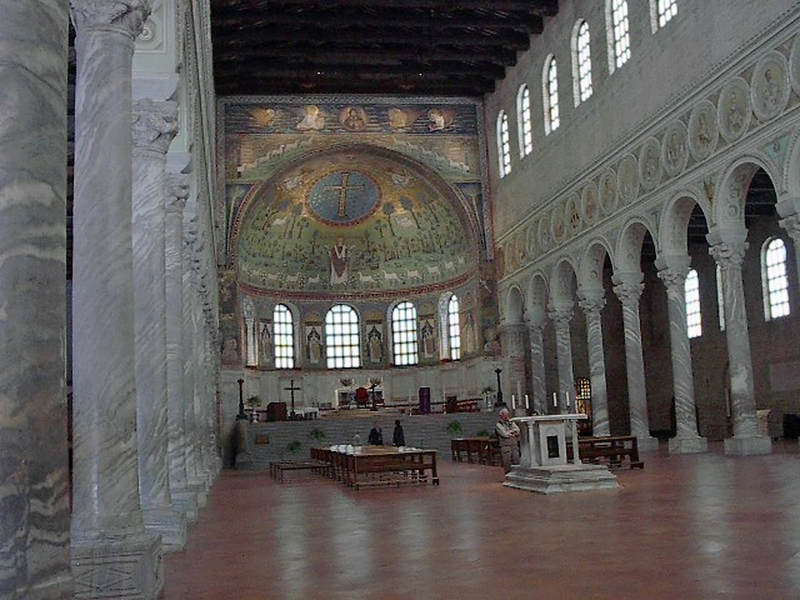 Sant Apollinare in Classe is another beautiful mid 6th century Christian church in Ravenna. In addition, two other important buildings of this era, the Archiepiscopal Chapel (ca. 500 AD) and the Mausoleum of Theodoric (ca. 520 AD) can be visited. 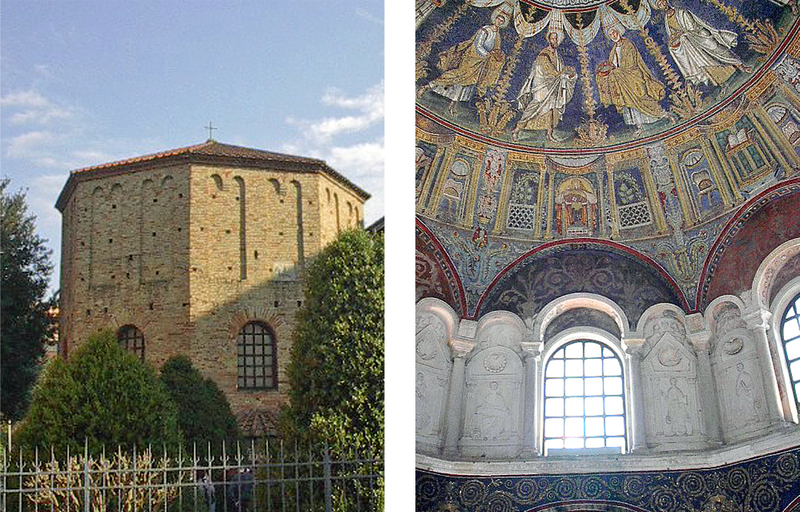 Find more about Ravenna’s ancient churches at the UNESCO World Heritage site here. 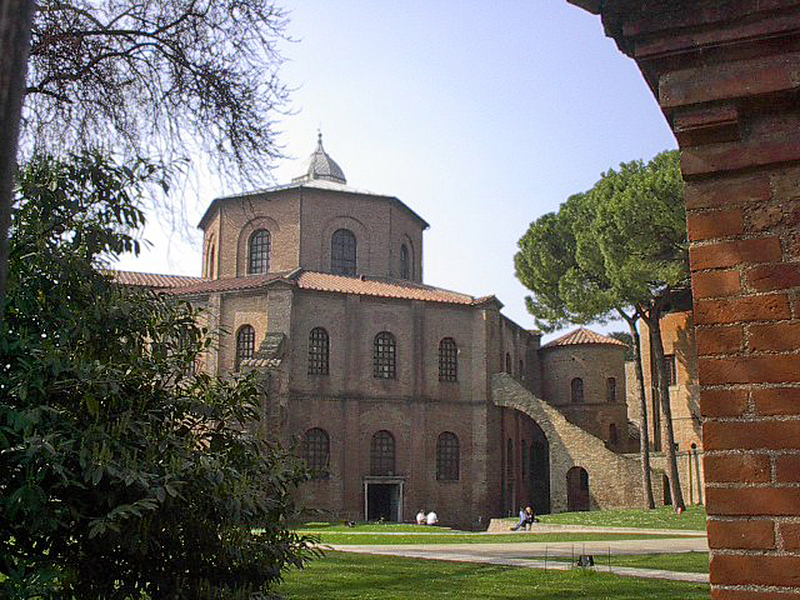 Wikipedia’s entry for Ravenna is a detailed history of the city with links to entries about each of these ancient religious buildings. 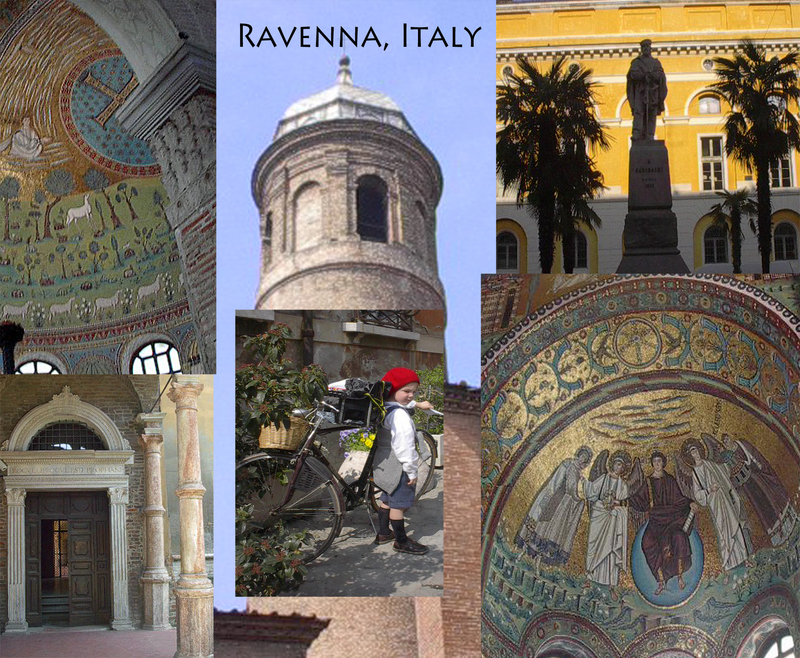 Ravenna is jsut 85 miles south of Venice and is linked to that city by train and highways. Thank you so much for your great post on Ravenna. I love the city, it is a jewel!